My goal is to help you to become stronger, more flexible and pain free while moving and living with ease. 50 years of sports related injuries left me virtually crippled. The discovery of Ki-Hara “Resistance Stretching” literally saved aching body. Strala Yoga and Strong Posture exercises were the keys to maintaining my new found health. I have a burning desire to share this “miracle” with anyone who desires a stronger, more pain free body. 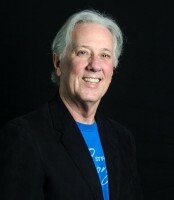 Founder and Owner of RiversZen Studios in Oregon and Washington. Ki-Hara Master Trainer, Posture Exercise Professional and Strala Yoga Guide.